The perfect addition to the Racing Car Cake. Go on! Make his day! 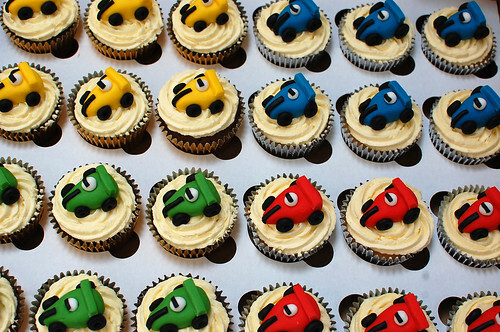 The Racing Car Cupcakes – from £2.50 each (minimum order 12).